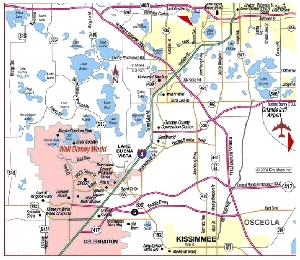 DRIVING CIRCLES AROUND DISNEY « THE BRYCE IS RIGHT! – How a seemingly easy drive turned into a nightmare. This may be so, but someone needs to tell the Disney people that there is a rat in the traffic department. NEXT UP: THE POWER OF PRAYER – Does it really work? LAST TIME: OUR FASCINATION WITH TRAINS – How we perceive our trains is how we perceive America. This entry was posted on May 15, 2015 at 6:00 am	and is filed under humor, Life. Tagged: DRIVING CIRCLES AROUND DISNEY, Florida, palm harbor, The Bryce is Right, tim bryce. You can follow any responses to this entry through the RSS 2.0 feed. You can leave a response, or trackback from your own site. You’re a little younger than me which makes me believe you must have a smartphone of one type or another. When I have gotten into similar jams, I simply say “OK Google”, then something such as “Take me to the Hilton hotel”. Google map opens and the feminine voice tells you what you must do to get there. Thanks, but I’m afraid it was a Google map that screwed me up to begin with.